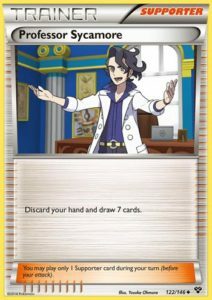 Hey everyone, this is my first PTCG analysis here on Pojo and I’m very excited to begin a new series of articles for you to enjoy! In these articles, I will review the previous month’s most notable tournaments and format shifts as well as the decks that are well positioned going into the following month! With May now behind us, we have a multitude of topics to discuss related to all of these points, so let’s dive right in to see what this month’s article will have in store for us! What decks performed well at the particular event and what decks didn’t? How could (or how did, depending on when you ask this question) cards from Forbidden Light affect these decks? Are there any decks that were unpopular at this event that could become better due to this metagame shift (and by this I mean are there any unexpected plays that could be taken advantage of due to cards from the new set)? Buzzwole-GX/Lycanroc-GX dominated while Zoroark-GX variants performed decently well. Other decks were not seen very often throughout the tournament. Decks like Buzzwole-GX/Lycanroc-GX gain a whole new line of support (Beast Ring, Diancie Prism Star, etc.) while not many other decks gained anything of substantial value (a few techs or upgrades here and there, but nothing too noticable). Nothing from the past gains any cards or better matchups (counting out Malamar of course as I’ve been doing in the previous questions), so Buzzwole-GX/Lycanroc-GX isn’t threatened by anything from before Forbidden Light. So with this in mind, the most obvious and probably safest option would be Buzzwole-GX/Lycanroc-GX, right? Well, that is what many players thought, and for most it turned out to be their downfall (and no offense to those who did play Buzzwole-GX/Lycanroc-GX, it was actually a legitimate option due to its great track record). 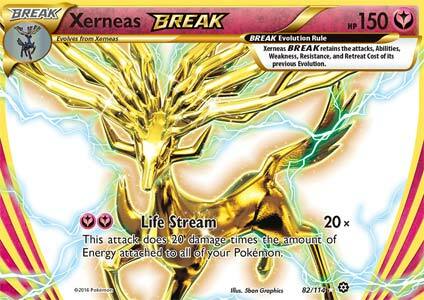 One of the most hyped up cards coming out of Forbidden Light was Malamar, and combined with either Ultra Necrozma GX or just regular Necrozma GX, the deck was very well positioned to take on the reigning champion and those who trailed behind (like Zoroark-GX variants). Mexico City’s SPE was a prime example of this due to Malamar variants dominating the tournament. Are there any decks that have favorable matchups against the winner or top contenders in the tournament? What are these decks weak to and will this majorly affect the outcome of the tournament for you? Is this deck a popular deck that can be targeted easily or is it an “off the radar” play? Using these questions, we can further predict the best play(s) for practically any event. They are better suited for upscale tournaments like Regionals or Internationals though due to the larger pool of data that can be utilized. The last event I would like to go over took place the following weekend after Mexico City’s SPE and provides us with a more stable view of the Forbidden Light legal format. This tournament occurred in Melbourne, Australia and with Malamar on the rise, Greninja Break was able to take advantage of the favorable matchup and win the event. Surprisingly, almost all of the Malamar variants in Top 16 didn’t play a counter to Greninja Break (usually either Giratina Promo or Lunala Prism Star are used), so this might explain why the deck came out on top. 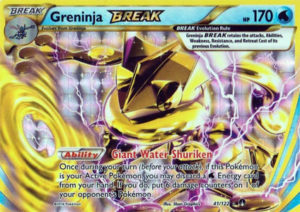 It was a very intelligent play by Joey Ho, the competitor who piloted Greninja Break to 1st place in Melbourne Regionals, and I expect the deck to perform well in the future (as long as the Giratina PR count stays relatively low in most decks). 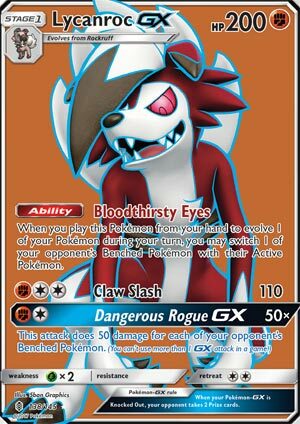 Throughout the month of May, the top three decks that stood out to me included Zoroark-GX/Garbodor, Buzzwole-GX/Lycanroc-GX, and Malamar/Necrozma-GX for a few reasons. One, they all interacted with each other in a triangle-like pattern. Zoroark-GX/Garbodor has the advantage over Malamar/Necrozma-GX, Buzzwole-GX/Lycanroc-GX counters Zoroark-GX/Garbodor, and Malamar/Necrozma-GX follows suit against Buzzwole-GX/Lycanroc-GX. All of this creates a never ending game of rock-paper-scissors that practically rules the format. Second, these three decks have been receiving more hype than most other decks found at the moment, so many would rather switch there previous deck to one of these options just because they have been very successful. When it comes to deciding which decks are well positioned for June, I personally prefer not to go with the crowd and instead play decks that counter the “triangle” mentioned above. Decks that I expect to do well must have favorable matchups against most, if not all of those included in the triangle. Some decks that fulfill that role are Greninja Break, Xerneas Break, and Gardevoir-GX/Talonflame (which is a deck that I’ve been doing well with recently; I’ve won two League Cups with it so far). Most of these decks are unexpected plays (though Greninja Break has been gaining popularity as of late), so you will usually have the upper-hand when it comes to surprising your opponent. Since these decks aren’t weak to anything popular, you also won’t have to worry about running into horrible matchups very often. 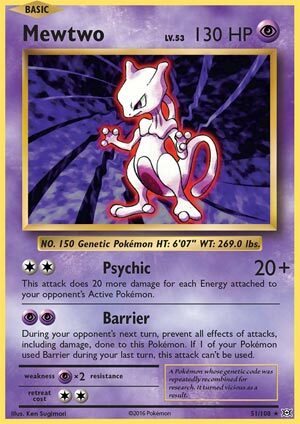 1 Mewtwo (EVO): Instead of Mew-EX (PR), I’ve decided to go with Mewtwo for two reasons. 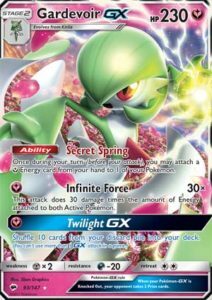 One, Mew-EX only works if you have a Gardevoir-GX in play and while that is nice and everything, I’d rather just attack with Gardevoir-GX then I would with the fragile Mew-EX. 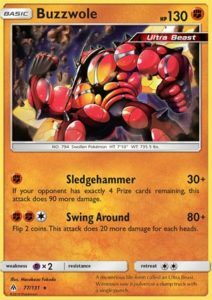 Two, Mewtwo is a one prize attacker, so that can greatly swing the game into your favor against Buzzwole-GX if timed correctly. 1-1 Octillery (BKT): I felt that this deck lacked late-game draw support and while Oranguru is another great option, I prefer Octillery due to the ability to draw extra cards which is always better in a Stage 2 deck (and the added bonus of being able to Brooklet Hill for Remoraid when playing against Buzzwole-GX). 1 Super Boost Energy (ULP): Originally, I played a single Max Potion instead of the SBE (Super Boost Energy), but I then realized that the format has dramatically shifted from that of preservation (when “BrokenVoir was popular) to swift and decisive K.O.s by turn two (with Buzzwole-GX/Lycanroc-GX dominating tournaments). I decided that Gardevoir-GX variants in general would have to change to match the new style of play or be overrun by decks like Buzzwole-GX that could hit 230 by turn two or three. SBE is a great replacement for Max Potion that easily fulfills the aggressive role needed to be competitive in this format. Not to mention the synergy it has with Talonflame in the first place. Anyways, with only two Regionals left before NAIC in Columbus, OH, we will have limited data to work with heading into such a large event. Hopefully, this article was able to help explain better ways of efficiently and effectively analyzing a tournament for useful information. Check back at the beginning of July for another Monthly Tournament Analysis article here on Pojo! Also, check out the other resources Pojo has to offer such as the “Card of the Day” articles, Pokemon News, and more!